This is remarkable. A satirical Sunday news programme presented by Arjen Lubach, on a mainstream TV channel in the Netherlands, debunks the green energy con. It’s in Dutch of course, but there are English subtitles. Assuming the subtitles are accurate, he says that green energy is “all one big lie”. He exposes the lie with a series of Groene Schokken. Starting from a figure of 69% of Dutch households that use green electricity, he gradually eats away at that figure. Schokk 1: There’s no such thing as a green energy supplier. OK, maybe not such a big schokk, but maybe some people do need to be told that there isn’t a special set of cables to your house that only connect to wind turbines and solar panels. Schokk 2: Green energy is mostly fake. Suppliers merely buy green energy certificates, from countries such as Norway that have plenty of hydropower. This “scam” brings the 69% down to 21%. Schokk 3: If you look at total energy use – transport, heating etc – rather than just electricity, the 21% figure drops to 6%. Schokk 4: Most ‘green’ energy doesn’t come from wind or sun. Even that 6% figure is fake. Most of that ‘green’ energy comes from burning biomass. It takes a lot longer to grow a tree than to burn one. Schokk 5: Biomass is not sustainable. Trees in America are chopped down, formed into pellets, shipped across the Atlantic and burnt. He challenges a government minister, who declares that biomass is sustainable, because this has been established by the European Commission. The bottom line is that the proportion of genuinely green energy in the Netherlands is 2.2%, which he then contrasts with a government target of 14% by 2020, two years time. Of course, anyone who had been following, say, Bishop Hill for the last ten years, would not be schokked by all this, but it’s good to see it given 10 minutes on a major TV channel. It would never happen on the BBC of course, thanks to the zealotry of Harrabin and Attenborough and the policing of Ward and Hickman. The video has mysteriously disappeared from YouTube. Fortunately Ron Clutz has transcribed most of what Lubach said. Apparently the video was removed from YouTube because it showed an incorrect logo (HT Vinny). At this page you can see an explanation and the edited video (go forward to about 15 minutes) but unfortunately that version does not have the English subtitles…. Tags: comedy, energy, media, news. Bookmark the permalink. Translation is accurate, but most jokes are lost. Great video. He almost gets it. …except the poor comedian seems unable to question the underlying assumption. I think the break out comedian will be the one who can challenge the climate orthodoxy and make people laugh….and question. That the present or future climate actually calls for the ridiculous complexities that he and the rest of the 69% of Dutch rate payers are paying so dearly for is the real joke. Paul. Why is the BBC always singled out? I don’t see what you look for on he ITV or Sky channels, yet I don’t recognize identifiable zealots or policing. I doubt if they are following a BBC lead. My conclusion is that all the TV channels give the public what the broadcasters believe the public wants or, alternatively, they don’t want the hassle of constantly having to counter rabid and voluble supporters of AGW. If the inoffensive New York Natural History Museum succumbs, what chance does a much more visible public provider of news and entertainment? I don’t like what the BBC does, but I do try to understand why it does it. The real comedians are the IPCC and its climate believers. Alan, wait till you read my next post about how the BBC responded to my complaint about Harrabin’s fake climate news story. ITV and Sky don’t take quite the same moral tone as the defacto state broadcasters. Commercial channels are subject to market forces, where as the BBC, much less so. Moreover, if you want to watch a commercial channel, even via the Internet, you must pay for a licence for the privilege, thus allowing the BBC to fulfill its mission. That is why the BBC comes under such scrutiny. I could add about eighteen volumes to this criticism. However, it would be off-topic. Because *it* imposes the Telly Tax. Those who want to watch *any* UK broadcast TV are forced to pay the BBC for the privilege. It gets 100% of the revenue. what those people believe are the motives of the BBC in taking the stance they do, especially about climate matters – other than the BBC constantly get bashed if they dare to expose the public to non-AGW information. I suspect this is the nub of the matter, hence although this doesn’t clear the BBC of blame it does mean that our focus of attention should shift more to those imposing bias onto the BBC. Joe Public. The UK government imposed collection of the TV licence fee upon the BBC, thus it gets the blame. To watch ITV you also need the licence. Why then shouldn’t ITV shoulder some of the task and cost, of collecting the tax and sharing the opprobrium? Furthermore the money received is first paid into the Government’s Consolidated Fund. It is subsequently included in the ‘vote’ for the Department of Culture, Media and Sport in that year’s Appropriation Act, and passed back to the BBC for the running of the BBC’s own services. It’s a way that the government distances itself from opposition to the licence fee. If the BBC were financed as other state broadcasters are, then what you object to in the BBC could be laid at the government’s door. Very clever strategy of successive governments. In any case, special criticism of the BBC because it is funded by taxation is a rather silly argument. Why should a state-funded broadcaster be held to higher standard? I expect ALL broadcasters to be held to high standards, especially when it comes to bias. So, to those that justifiably criticize the BBC, why this focus? Why aren’t all broadcasters blamed (equally)? Why should a state-funded broadcaster be held to higher standard? Why should the guaranteed state near-monopoly be held to a different standard to the would-be broadcasters that it displaces from the market? Why aren’t all broadcasters blamed (equally)? Because they don’t all produce quite the same content. Even Channel 4 — which otherwise very much reflects the establishment’s preoccupations (we could could it ‘hegemony’, if you like), and is a defacto state broadcaster — managed to commission and broadcast TGGWS and Durkin’s earlier film, Against Nature. This was followed by the neo-green/ecomodernist What the Green Movement Got Wrong a few years later, featuring Brand. That was about 3 or four hours of broadcasting over the course of a a decade and a half. George Monbiot called it “Channel 4’s war on the environment”. Reactions to both broadcasters’ daring to air sceptical views resulted in the same barrage of complaints from environmentalists: climate change denial has no place on state-owned media. The subsequent furore is about the role of public institutions giving “equal weight” to dissenting opinion as “science”, causing reflection on (and revision of) the broadcasters’ charter. I.e. to re-examine their public function. This is why it is legitimate to hold the BBC to a different standard. Sceptics typically take the view, ‘well why do we need state-owned media in the C21?’. Go ask a green. Ben. I fail to see your logic in holding the BBC to a higher standard, but then you might have expected that. ‘well why do we need state-owned media in the C21?’. Go to the USA. Also watch the viewing statistics when there is a matter of national emergency (or even interest). Alan, I fail to see where you fail to see the logic — you do not seem to explain the issue. The BBC is a public broadcaster. That immediately sets it apart from other categories of broadcaster, with different obligations, not least for the hand-wringing it creates about ‘bias’ — which is something that is expected to be eliminated from all public institutions, but which evidently isn’t. I’ve been to the USA, several times. I don’t know why it would be offered as an example of less ‘biased’ news compared to what is offered here (if that is why it was offered)… Partly because I don’t think lack of bias is a healthy aspiration, and partly because I don’t think UK broadcasters have eliminated it. Going to the USA to watch news is a bad way to try to detect bias. The proper way to detect bias that you’re otherwise unaware of is to go the USA (or any other country) and then watch the BBC, to see if it’s really speaking about the world. Another, less comfortable way of viewing it is to be near a story, and then to see if its treatment in the media is what you would have expected. It doesn’t rule out your own bias, of course… the best antidote to bias is more debate. watch the viewing statistics when there is a matter of national emergency (or even interest). Here’s a topical demonstration of bias on the BBC. Ben. Going to the USA demonstrates what the absence of a nationwide broadcaster means for local news which in the USA is commonly atrocious. News in Canada, with its National and Provincial CBS was so much better. Furthermore independent stations need to improve in order to attract market share (I believe the same happens in the UK). When major news stories occur, the public shifts markedly towards BBC News. This would seem to indicate that at such times the public trusts the BBC with providing its news more than other broadcasters. Bias on the BBC. Leavers vs Remainers. Questions on political matters are not always about Brexit but should be answered primarily by politicians (which the IEA reports are well balanced). Since the majority of MPs were Remainers, keeping political balance (as well as gender and regional balance) probably always means an imbalance regarding Brexit. If the BBC sought Brexit balance, it probably would be imbalanced regarding other aspects. Its an argument the BBC cannot win. Alan, — Going to the USA demonstrates what the absence of a nationwide broadcaster means for local news which in the USA is commonly atrocious. I wonder if you could rephrase it? Which is atrocious – national or regional news? And by what measure? You didn’t like it? And how was it compared to regional broadcasting in the UK? And which medium – Terrestrial TV? Radio? Cable? And the Internet, for that matter. My understanding of the US is that there is far more choice at all levels. My experience of BBC local radio is that it is insufferable. All the more so when being forced to listen to it for traffic information. thank Gore for the Internet and Sat Nav! As to tuning in in the even of disasters, this may have many reasons. The main one being that the BBC is far better resourced than its competitors. Second, the BBC has more frequent news slots in its schedules, as required by its Charter. Third, the BBC is the most commonly available news channel. Trust has little to do with breaking news stories. If it did, then nobody would watch it, because everyone knows that rolling 24 news coverage of unfolding events is absolutely dire, no matter who the broadcaster. I’m not that interested in suppositions about proxies of ‘trust’ as a further proxy for quality of broadcaster, in an off-topic discussion about the obligations of state-vs-commercial news in a thread about a dutch comedian’s take down of the renewable energy market. Since the majority of MPs were Remainers, keeping political balance (as well as gender and regional balance) probably always means an imbalance regarding Brexit. Because only the balance of MPs can count as a proxy for balance. The BBC reflects the establishment. QED. Its an argument the BBC cannot win. Indeed. Which is perhaps why it is no longer fit for purpose. Better to be done with it. “Its an argument the BBC cannot win. The blame lies with those being critical. What a simply illogical argument. If you dislike the BBC so much, why not ignore it. No one pressurizes you to watch/listen to it. Blame the government for the licence fee. Furthermore there are many (including me) that, despite its many faults, value the BBC, and who people like you would destroy. That seems like bias to me. Who is being critical? Of what? All you managed to do was make my point for me that the BBC cannot possibly be unbiased, and necessarily reflects the establishment’s perspective, in spite of public opinion, yet you held it up as a model of unbias. I’ll take no lessons from you in ‘logic’! It’s a great video and as far as I could tell I got most of the jokes, with the exception of the word ‘slip’, in relation to toasters, which I assumed was something rude that didn’t translate properly. In the UK you could add the additional japes that are subsidies. I do like the image of a wind turbine set within a light bulb. The symbology is perhaps a little confusing with several possible meanings. Thanks for posting this. I enjoyed the subtitles so posted a transcript for those who prefer to read the monologue. It’s actually quite a good Dutch language learning aid. You listen to it a couple of times and you start to pick up on the sentence construction which is very similar to English and some of the words are very similar in English and Dutch. At one point it almost sounds like he is speaking a very peculiar but recognisable form of English! Anyway, it’s also a great video exposing the green energy scam. with 400,000 views. This is how we win. What’s the joke about Karma Ham? (4’14”)? Don’t speak Dutch but I think the Karma Ham is a pun on Parma ham, as in the Italians will either sell you proscuitto or climate karma. I did not get the karma ham. It’s an in-joke — other people use it too, without further ado — but I’m not an insider. Geoff. Don’t know of any, UEA is a somewhat placid place nowadays – although it keeps growing, swallowing up the regional hospital. Anyway you desire an excitable Professor who is also a native Norfolk speaker. I never met one and the mixture might be mutually incompatible. UEA’s links were always with Scandinavia, not the Netherlands. I am amazed no-gets this. He is talking about Italy and this is a play on Parma Ham. Might not be side splitting, but I laughed. The name Parma Ham is EU designated, as is biomass as a renewable. left of centre orthodoxy shared by only a part of Australian society. has been noticeably limited to a one-sided democrat-argument POV. The Renewables Certificates ( eg Norway) operate on the same basis as the UN Clean Development Mechanism, CDM, which resulted from Kyoto in 1997. It is a huge UN bureacracy, https://cdm.unfccc.int/Statistics/Public/CDMinsights/index.html, with rich pickings for the facilitators and consultants involved. It is supposedly reducing “carbon” levels but the whole issue of emissions is self-reported and is a massive spreadsheet exercise. 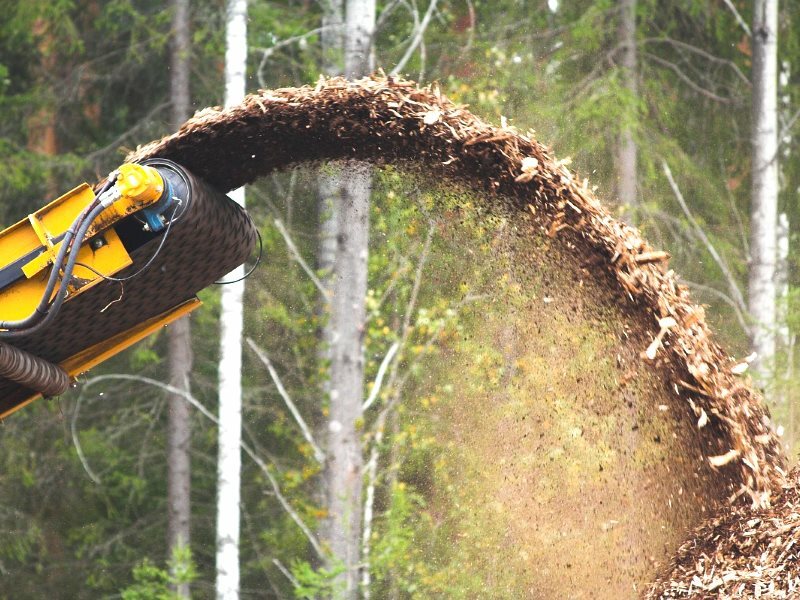 By designating biomass as renewable, the EU can include it in its emission reduction statement and therefore be seen to be following the Paris Agreement. It is all a massive con. Where you have the honey pot there you’ll find the b’s. The US has a state funded system, called Corporation for Public Broadcasting. The problem is that nearly all US media is self organized into an oligarchic structure. Talent (such as it is) freely moves amongst tge huge players. Fox is an outlier, but is largely in the oligarchy, likely to fully merge with it soon. Beth, your comments suggest something going on in Australia as is what’s going on here in the UK, which is interesting to Paul’s post on the Al Jazeera feature. I know of quite a few on the left who have ultimately found the dominance of one side tiring. To keep it on-topic… I think the first realisation that something is up comes with comedy. It is in comedy output that the real punching-down and rather too smug nature of contemporary ‘satire’ raises questions about what the commissioning editors are really up to. It’s not just the right-of-centre who are ditching the BBC — and the whole of terrestrial TV into the bargain. There is simply much more, much better content available, from comedy to current affairs, across the political spectrum, available to anyone who want to look for it, rather than have it served up on a schedule. The other interesting thing with this take down of green energy, in the wake of the Al Jazeera feature, is that it doesn’t come from the ‘climate sceptic’ camp, as James Painter or Leo Hickman would have it. Though no doubt, it would have raised complaints from the blob if it had been on the BBC. Moreover, how does it fit in the schema offered by Painter and his part of the blob? For instance, if it were possible to criticise climate and energy policy without being called a ‘denier’, perhaps then there would be no polarisation of the climate debate. The Netherlands is also the first country to have tried the red-team-blue-team approach to climate policy-making, organised by Marcel Crok, though he says that polarisation was still a problem. I am dutch. The Karma Ham joke has several layers. First layer: Green electricity certificates from Italy are good for your karma, because It makes you a Good Person, it shows you Care For The Planet. Second layer: Karma ham rhymes with Parma ham, an origin protected quality meat from Italy, so pretendiing high quality. Third Layer: Every dutchman knows that dutch bred pigs are trucked to Parma to be slaughtered and shipped back as “Parma” ham, so in fact it is the same scam as green energy certificates. “The devil hates to be mocked”. One tactic could be to start showing satires of climate consensus in action. Much of what climate hypesters do is nearly self parody. Certainly it is time for a comedic review. The trams in Amsterdam all tell us that they travel on green electricity. If you can’t trust a tram who can you trust? And for linguists, German is Deutsch. Then that country between Germany and the North Sea speaks Dutch. German is an amalgam of many different dialects. Dutch is the name of one of the contributing dialects that got applied to the end result. Try Franconian for size! I am English and rather busy, so I’ve not looked at the video. But this expert explanation is one of my favourite Cliscep comments of all time. It is in comedy output that the real punching-down and rather too smug nature of contemporary ‘satire’ raises questions about what the commissioning editors are really up to. Chris had just been at the Private Eye editorial meeting, as I’d hoped. Hislop was courteous in trying to help make the connection but made it clear when I introduced Steve that he trusted and followed George Monbiot, as a scientist, rather than the non-expert Booker on global warming. And with the loss of all nuance declared there went a great opportunity for UK satire to speak truth to those that matter rather than simply join the elite and punch vicious stupidities downwards, as you put it. … if it were possible to criticise climate and energy policy without being called a ‘denier’, perhaps then there would be no polarisation of the climate debate. Too right. My definition of scepticism as being convinced that climate really isn’t that important should of course be qualified: a sceptic is also convinced that current climate and energy policy is less than optimal. Many of us believe it is harmful, not least to the poor, and to all of us not in the mediocre elite, in increasing government control, which could lead to tyranny. It’s talk like that which consensus enforcer trolls have to nail with Denier. They also always try and distract from these most valid criticisms with scientistic fripperies. And thus, with the dogs of denierdom let loose, it takes courage, not just one video, to speak truth to power. But then what’s changed. Hislop’s deference to Monbiot doesn’t surprise me. Look here, Mr Pile, I said I was busy! I skimmed your wise words and only watched Brendan O’Neill’s intro at QED 2013, which I thought was very good. Once Ince got started I, like others it seems, lost interest. O’Neill convinces on the inevitable corruption of science once ‘expertise’ becomes hardened. First – do – no – harm. The video is no longer available on Youtube, while others by Luybach, also subtitled in English, are. Could one of our Dutch readers make some enquiries please? The YouTube memory hole in action…. YouTube has Early Onset Dementia? Oh, that’s interesting! That makes Ron’s partial transcript all the more useful. I will update the main post. Ironically, he does have a recent video up about censorship. “The biggest trend that I foresee for 2018 is…. censorship”. Looks like he was right? The video was removed because of an incorrect logo. To our regret, there was a mistake in the broadcast of Sunday with Lubach of 4 February. In the item about Green Electricity an incorrect logo has been mapped out of a GvO certificate. GvO is the abbreviation for ‘Guarantee of Origin’, in short ‘green certificate’. In the production of renewable electricity, a GvO is created for each megawatt-hour. GOs serve to prove that the energy delivered is actually generated sustainably. On Sunday, Lubach reported the trade in (for example) Norwegian hydropower GVOs to ‘make the gray power’ more sustainable – the so-called ‘sjoemelstroom’. By mistake, a GVO logo has been brought into the picture that – as it turns out – has nothing to do with trickle flow. The logo displayed belongs to the National Sustainability Institute, an organization that wants to stimulate sustainability within companies by issuing GvO certificates on products and brands. The National Sustainability Institute explicitly distances itself from the trade in green energy certificates. We regret the mistake we made and offer apologies to the NDI for this. The logo has now been removed. The editors stress that the abuses as shown in the broadcast are indeed the order and fully supports the content of the item. The “National Institute on Sustainability” sounds like a worthy and productive target for comedic review as well. I like that at least some in media still have the integrity to correct their story when mistakes are made. It seems vpro has put the youtube video back up. When major news stories occur, the public shifts markedly towards BBC News. This used to be the case unequivocally, along with the complete dominance of the BBC in the UK’s ingestion of news. The Reuters Institute of Journalism reported 70% of all news intake was from the BBC a few years ago (making a nonsense of all the fuss about Murdoch). However, change has been very rapid, particularly among the younger generations, who now rely increasingly on internet media – Twitter, Facebook etc. My personal experience is that the BBC spends so much time self-censoring that it is no longer a useful source for proper detail of major breaking stories, which are covered better elsewhere – although you may need to search for the best sources incident by incident and assemble a picture from several of them. Equally, it is quite hopeless in providing proper coverage of any issue where it has a clear editorial bias, where it is usually mere propaganda, not information – something that extends in much of its programming outside of its news related offerings. Of course, I also benefit from being able to tackle sources in several foreign languages – but online translation is starting to open that up for those who are not linguists, although it is not yet incorporated into normal news searches – you have to search on a phrase in a foreign language to get the hits. The BBC ceased to be a source of choice for serious news consumption when a young CNN provided live coverage of the events surrounding the Kuwait invasion by Saddam, and later, the Russian revolution of 1991. Sadly, CNN has since descended into a polemical source. I still watch rugby on the BBC, but almost nothing else out of personal choice. Occasionally, I am forced to watch when visiting relatives. Perhaps I should end my licence, and simply find a pub to watch the rugby. It would be cheaper, but I have no pub in walking distance that shows it where I now live.